In this age of instant news and its inevitable twin, “instant olds,” I was debating with myself whether it’s even worth posting about Monday morning’s eclipse two days late when every conceivable angle, situation, and perspective of the rare celestial event had been disseminated and ingested by afternoon through the fiber optic cable-enhanced hive mind of modern human communication. In fact, this sort of boom-and-bust news cycle where we collectively skip from one crowdsourced mega event to another, in a sort of call and response mode of newsmaking by the few and instant critique by the millions, has often left me feeling mentally exhausted, to the point of psychically whiplashed, unable to summon a coherent thought. Here I was, a person who used to think of himself as a civically engaged denizen with a knack for sparking as well as responding to thoughtful dialog, feeling like every possible entry point into a topic was already so crowded (with loads of great content amidst the endless chatter, to be sure) that I’d just be filling up the bandwidth with more noise and repetition. So, for the past year or so, I’ve been doing what so many of us who find ourselves immersed in a round world projected onto a flat screen do these days: I shared and amplified other people’s thoughts, sprinkled with the occasional comment about a comment about a comment. The good thing about feeling like you don’t have anything original to say is that it affords you the chance to learn how to embrace being quiet and listen to others. Once you get over the socially networked yet ultimately self-imposed pressure that you need to chime in on every issue-du-jour lest you come across as thoughtless or uncaring, you begin reclaiming the spaces in your heart and mind necessary for processing information on a deeper, less binary, more nuanced level. By allowing yourself to take a step back, breathe, and reflect before reacting, you are adding nutrients like patience and equanimity to your soul palette that are perhaps not as high yield as other, more outward expressions of oneself, but as vital to any long-term strategy of a caring, resilient human existence as minerals are to a soil’s health and longevity. As above, so below. Which brings me to the eclipse. Laying there on a patch of Northern California earth, surrounded by a canopy of perennials permeating just enough partially eclipsed sunlight to project a disco ball worthy stream of little sickles onto my body, my mind left the realm of instathoughts and just settled into the Big Boundless. The feeling of quiet awe it evoked wasn’t so much about the unique geometric alignment of sun and moon with its accompanying rarity factor, but the cyclical nature of everything, including our own little selves. 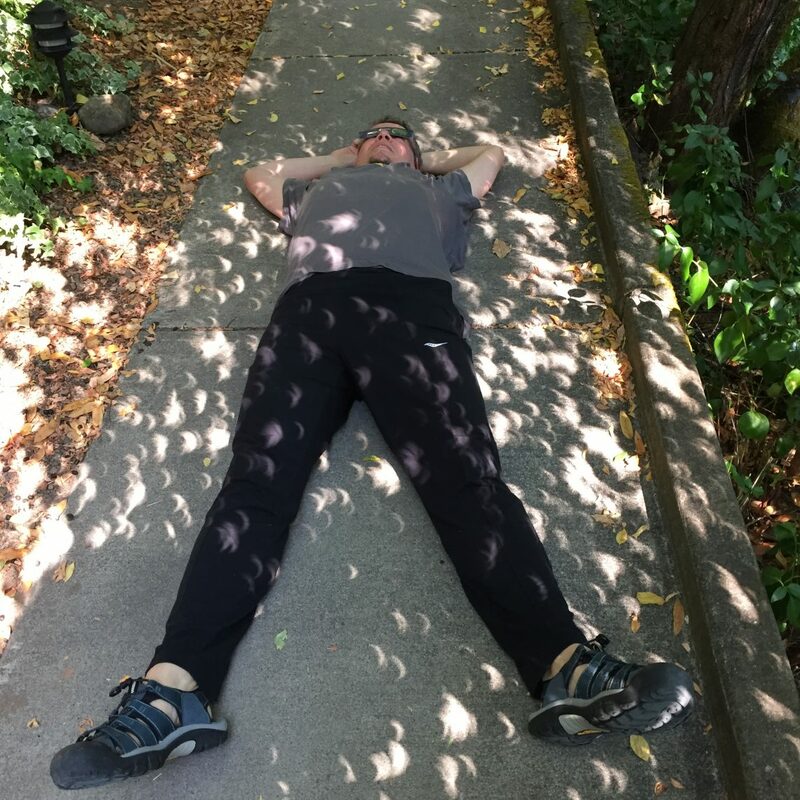 I know science has come a long way in explaining how the universe works, including what have become pretty standard predictions of the kinds of conjunctions like the one we witnessed this week that enabled millions of people to buy eclipse glasses and plan for their trek towards totality. But there are a lot of questions unanswered, and the part of me that connects with the slow and vast rhythm of the universe is quite alright with that. In fact, it’s the not knowing that is often the greatest source of peace and joy, for when you allow your mind to let go of the lifeboat of certainty, it loses its fear of swimming freely. Even when contemplating cosmic-level entities of space and time, our intellect likes to put demarcations around it. We know the Big Bang occurred 13.8 billion years ago and the diameter of the (observable) universe is about 28.5 gigaparsecs, or 93 billion light-years. There’s something soothing to our brains to think of our cosmic home in quantifiable terms the same way we would think of the square footage of our house or the time and length of our commute. But what was there before the Big Bang and what happens outside the perimeter of the known universe? Isn’t the idea of “nothing” simply a mental construct to signify that we don’t know? Science keeps expanding the search for answers within the realm of rational thought, and it is an important exercise of our physical composition to explain our existence within our cognitive abilities. There are currently fascinating theories about what’s going to happen to the universe, from the Big Freeze to the Big Rip to the Big Crunch. Personally, I like the Big Bounce theory, as it posits that the universe will continuously repeat the cycle of a Big Bang, followed up with a Big Crunch in which the universe collapses into a dimensionless singularity from which another Big Bang can arise. It’s as if the universe were a big lung, breathing in and out. As I was zooming back into my body right there on the mothership, I felt a lightness of being that I hadn’t felt in a while. On the drive back to the city, my mind firmly planted in the earth’s atmosphere with the soul still dangling out in space, I felt an inspiration to share my experience of the eclipse, but assumed that by the time I could even organize my thoughts, my story would already have been told many times over. The next morning, however, I was still feeling so wide-open and limitless, I just started to write it all down anyway. 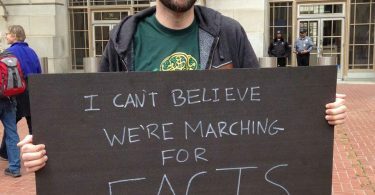 Do people still care about climate change? 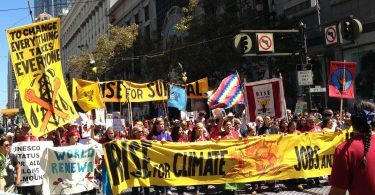 #RiseForClimate says YES! …and I’m so glad you did. I have to wonder, too–given your not-having-anything-to-say admission, followed by a remarkably poignant observation–if those of us who remain quiet aren’t really the ones who have the most original thought to contribute. I too struggle with today’s disorienting flashes of trending “ingestions” as well as a lackluster interest in contemplation, and so I find your writing refreshing. It renews my faith that wonder is not dead and inspires me to cease with my current pause and get back to the keyboard. Thank you. And thank you, eclipse, for the brief visit. Thanks Ruth for the encouragement. I think all of us writers go through that kind of not-having-anything-to-say feeling from time to time. I try to not beat myself up over it too much and also want to honor the power of quiet and reflection. But I have to work on better tuning out all the noise we’re exposed to in the digital age and not worry so much about being so original. Just like there are only that many musical notes, we’re all building on thoughts that have been thought before. But writing and expressing is so much more than just a sequence of words. If we pour our souls into it then any topic can be made to feel fresh and relevant, no matter how many times it has been written about. Wishing there was a “love” button for this post. aawww, thanks! ♥ right back!